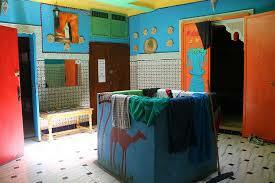 If you stay at the Kif-Kif you will experience the essence of Moroccan culture over its four floors. Enjoy tea and shisha in our traditional Moroccan tangerine courtyard - classic and calm. 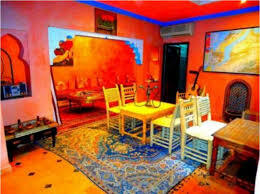 Wind you way up the staircase to find a first floor hippy vibe - fun, lively and full of music; our top floor is dedicated to Berber culture and style. 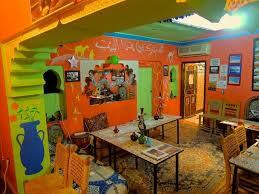 You are facing Cafe Argana. Continue straight on to the left of the cafe - you will reach a small square - walk through it and continue straight on - you are in a souq street. You will see in front of you a boutique called Bazaar Chichaoua. Turn left. This is Rue Ksour - there will be a beautiful petal shaped archway in front of you. Continue straight on - the road is straight. The street narrows and bends slightly by a boutique selling wooden trinkets. Continue straight and take the first left.